Gertrude Dénise is rootless, divorced and floating. Trying to decide if she wants adventure or a stable safe home life, “Gertie” has resolved to try a little bit of everything. Perhaps she missed out on something marrying young. Or maybe she’s never known what she wants. 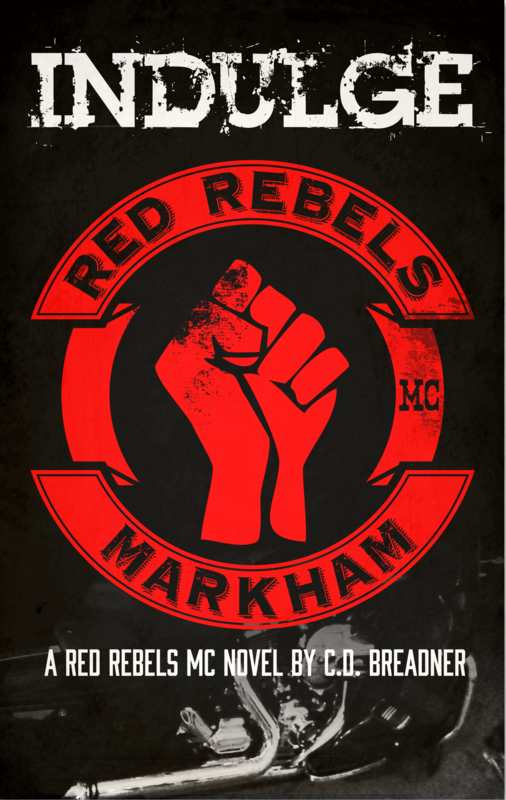 David “Buck” Buckingham is the recently-appointed Sergeant At Arms for the Red Rebels Motorcycle Club. Steadfast, steady and dependable, made to fulfil every duty that patch on his kutte requires. As much as he can be counted on, he has a soft spot for a certain hazel-eyed redhead who proves to be much more unpredictable. Buck is another new experience. Gertie is an entertaining contradiction. Buck knows he could be a danger to her, but his lifestyle not be the biggest threat to the woman who is starting to mean more and more to him.